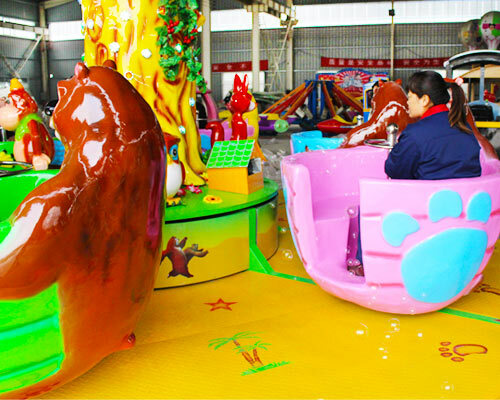 Playground Equipment Boonies Bears king of the forest is a level ground track rotation type rides. 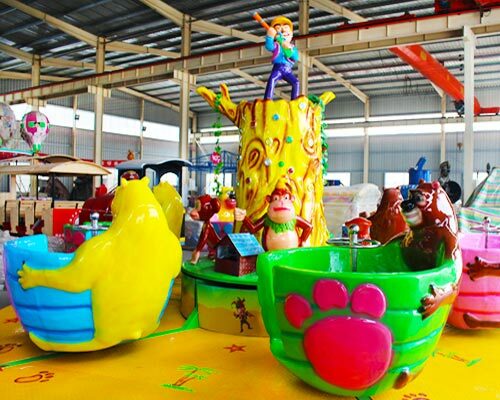 The first product Boonies Bears king of the forest park is based on a small bee changes upgrade, it relies on the technical characteristics of mature bees park, but the park has changed the bees bring everyone monotonous impression, in line with recent years play equipment development trend. 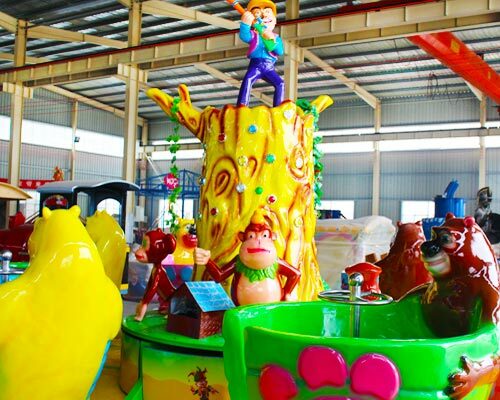 Boonie Bears king of the forest is a pleasure for the whole family of devices, when a man sitting in the cockpit, it is like being Xiong Xiong two hug feeling in his arms. 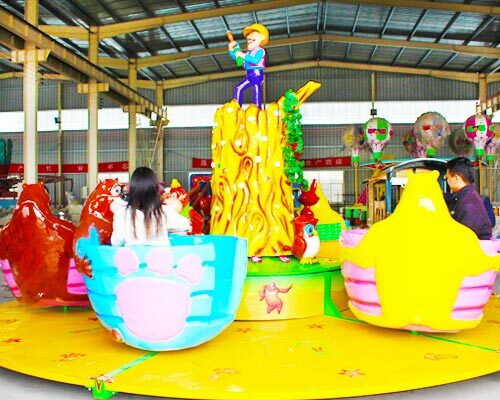 When the equipment running, the kids took the gun fire, the parents turn the cockpit in turn to make the kids always toward the trees, kids with guns fire small animals and trees bald strong, they will Interestingly issued cries stones ejected both sides lost in the bubble will cause the child’s play environment, distance transform bubble adjusted kids eye-sight, so that children do suffer from myopia less, letting the kids have unlimited fun!